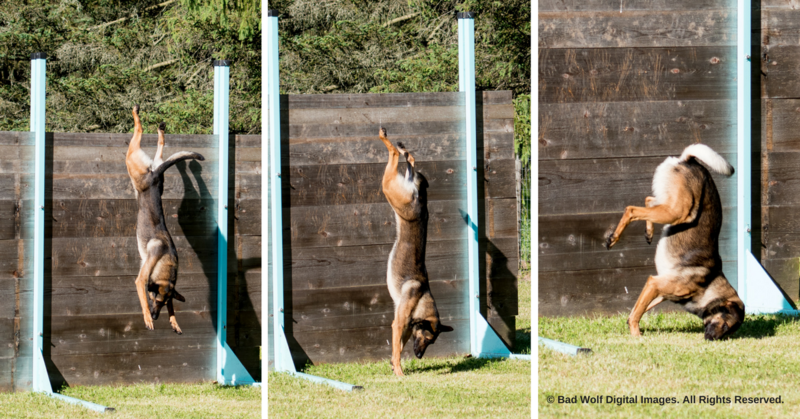 Usually when we think about fitness for the canine athlete, we think of exercises that we can do with our dogs. Our focus is usually on our dogs… not on ourselves. I argue, however, that when it comes to reaching peak canine performance, one of the most important determining factors for success (or failure!) is ourselves. We’ve all been there at some point in time… a subpar performance with our dogs, having to cancel an event after months of preparation, our dogs being sidelined due an injury, and more. What separates the champions, the elite athletes, and the success stories from the others is how they bounce back from setbacks and failures. The way you think about challenges and setbacks can either help or hinder your ability to overcome adversity. The biggest factor involved when it comes to overcoming adversity is our mental mindset. You must be resilient and have a certain level of “mental toughness” if you are going to turn your struggles and failures into success. Be kind to yourself! I think one of the first things many of us do is beat ourselves up over our failures! Mosewich et al. (2014) state one of the most common and ineffective ways that athletes deal with setbacks and failure are to use that failure as evidence that they are inadequate, weak, or no good. Beating yourself up only serves to kill your confidence and motivation while interfering with your performance (Goldberg, 2017). Find positives out of the setback. Elite athletes see failure as a valuable source of feedback from which to learn (Mosewich et al., 2014). When confronted with a setback, try to find at least 3 positives out of it. Have a solution-oriented mentality after a setback instead of blaming others and outside forces. Focus on the things that you can control, look at information as being valuable data, and then make adjustments as needed (Crust & Clough, 2011; Goldberg, 2017). Use setbacks and failures as motivation to reach that next level. Elite athletes have a fierce desire to overcome adversity and are constantly setting new goals and challenges (Connaughton et al., 2008; Poirier-Leroy, 2016). Do not succumb to pressure, worry about, or get caught up on what others think. A resilient athlete only puts energy and focus into things that he or she can control (SIRC Blog, 2014). So the next time things don’t go your way, instead of feeling sorry for yourself and beating yourself up, follow the five tips listed above to develop the mindset of a champion. I promise it will have a positive impact on your training and your dog’s future performance! Connaughton, D., Wadey, R., Hanton, S., & Jones, G. (2008). The development and maintenance of mental toughness: Perceptions of elite performers. Journal of Sports Sciences, 26(1), 83-95. Crust, L. & Clough, P.J. (2011). Developing mental toughness: From research to practice. Journal of Sport Psychology in Action, 2(1), 21-32. Mosewich, Crocker & Kowalski. (2014). Managing injury and other setbacks in sports: Experiences of (and resources for) high-performance women athletes. Qualitative Research in Sport, Exercise and Health, 6(2), 182-204. © 2016. Bad Wolf Digital Images. All Rights Reserved.